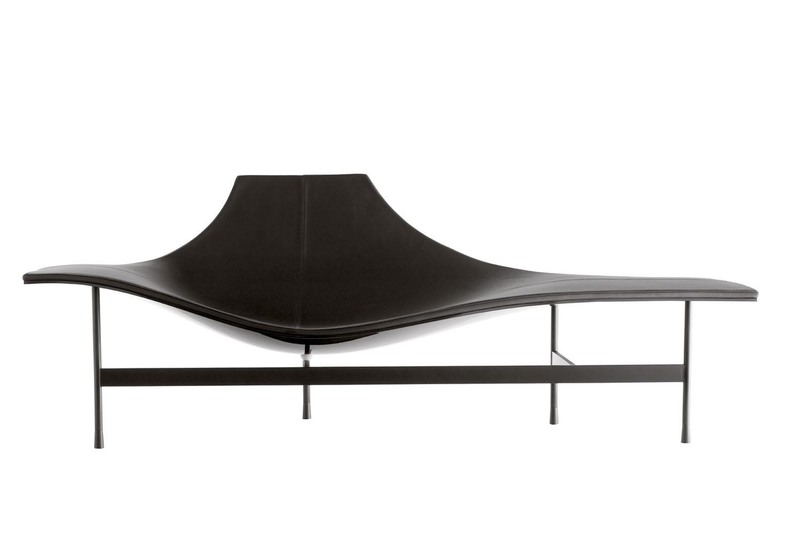 The daybed Terminal 1 is the 2008 iconic piece. 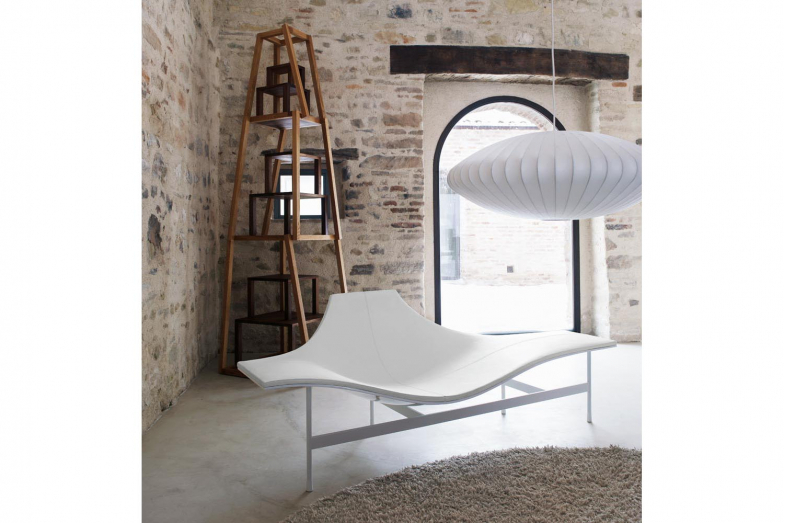 It is elegant, fluid, and harmonic, starting from a lucid plastic body, floating on a metallic frame, and varnished with the same colour but with a matt finishing. 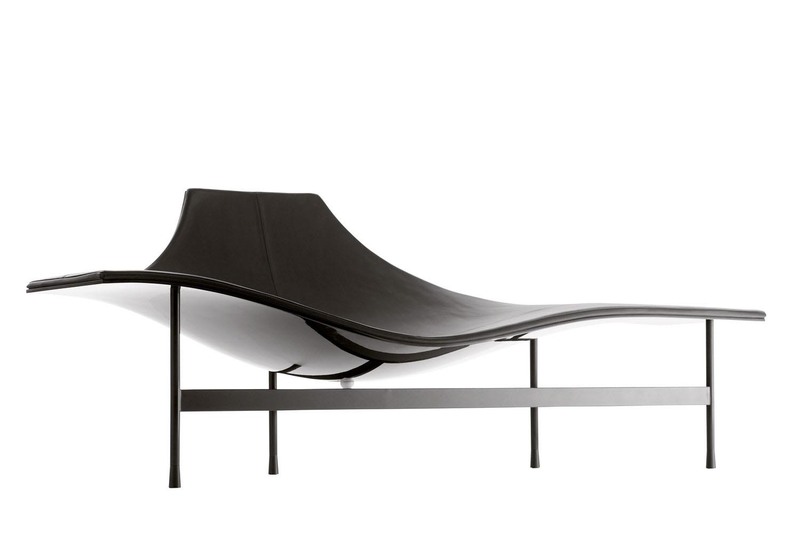 Its shape invites and supports its double function as an arm-chair and chaise longue. The covering and colours have been chosen based on a desire to create a monochromatic effect that highlight its formal elegance: four colours in leather for the chairs, identical to the ones used for the glossy and matt varnishing (white, anthracite, chamomile and petrol).